Tomey is a scrawny red pony with wobbly legs and a neck too skinny for a tie. Unfortunately, chuckles and giggles follow the awkward pony everywhere. 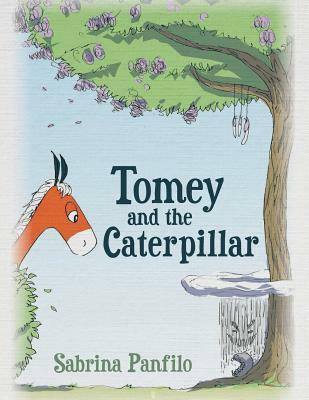 Tomey is so sad and lonely-until the day he meets a caterpillar sitting by himself under a tree. When Tomey realizes the caterpillar is crying, he rushes to his side. Wise beyond his years, Tomey not only guides the abandoned caterpillar to find his colors, but more importantly, encourages him to be proud of himself and his unique capabilities. In this inspiring children's tale, a red pony comforts a lonely caterpillar and helps him learn to love himself.